Directional solidification experiments were performed on Al–Si–Mg alloys to examine the effect of compositional variation on dendritic growth and to develop a novel growth model for the prediction of primary dendrite arm spacing in solidification microstructures. Instead of relying on the growth restriction factor or inoculant particle efficacy, this model examines solute effects to describe the final primary dendritic arm spacing. Increased Mg concentration was shown to decrease the dendritic growth velocity by decreasing constitutional undercooling. Solute enrichment at the solid/liquid interface was shown to limit lateral coarsening of primary dendrite arms and create a region of local solute depletion. This phenomenon allowed increased nucleation due to an increase in the resulting local liquidus temperature, and ultimately produced a refined primary dendrite arm spacing. Primary and secondary dendrites were measured and quantitatively analyzed in validation of the model. The model, which shows increased accuracy compared to existing models, was developed with aid of the three-dimensional cellular automaton method and experimentally verified. The authors would like to acknowledge the National Science Foundation for supporting this work (Award CMMI-1432688). 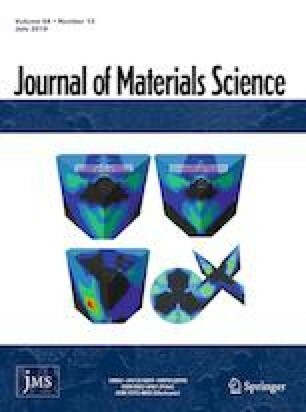 The authors would also like to thank the members of OSU Light Metals and Manufacturing Research Lab for discussions and design assistance.